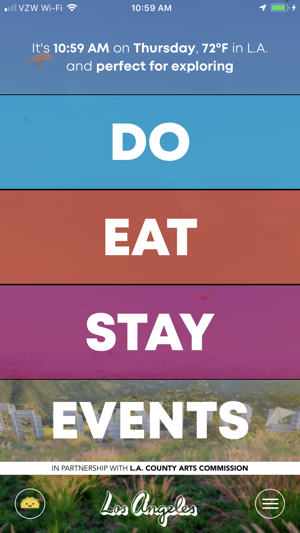 The official guide to L.A. 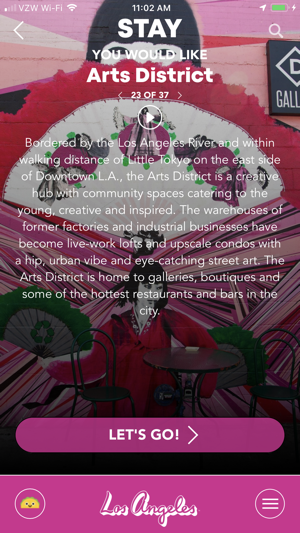 The official guide to Los Angeles, the Discover L.A. app gives urban exploration a whole new meaning. Sleekly designed and packed with contextually crafted content based on time, weather and location, you’ll want to come back daily in search of what to do next in the City of Angels. 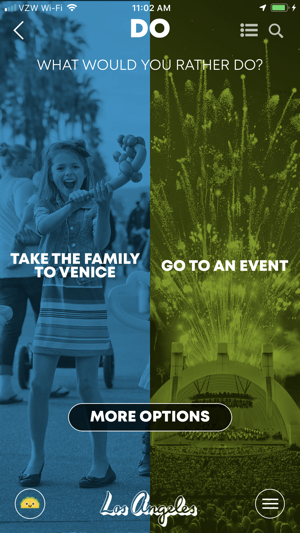 Built in partnership with the Los Angeles County Arts Commission, the app features a wide variety of events taking place throughout Los Angeles on a daily basis. 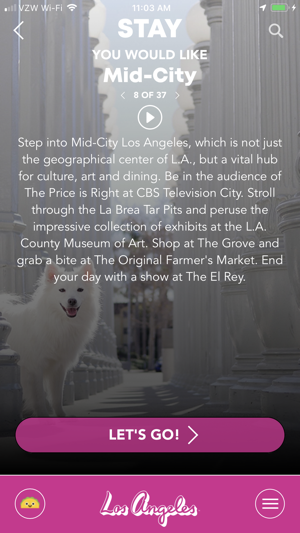 Discover LA app actually lets LA discover you. This app actually provides a highly contextual experience. I originally thought I would use this app as a map to get around the city and find attractions but it is much more! The content is highly curated with guides spanning niche topics such as "top places to find cold noodles" to "waffles across the city." The events component is also very nice and gives you a flavor of the diversity of current and upcoming events that range from popular shows at the Staples Center to intimate acts at local venues. 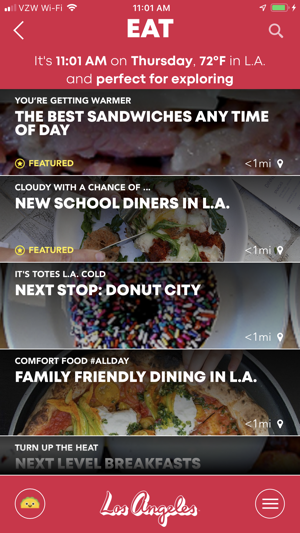 I'd definitely recommend that you let this app put the flavors of Los Angeles in your mouth, sites of Los Angeles in your eyes, the sounds of Los Angeles in your ears and the city of Los Angeles in your palms. I like the set up and its features, and I also like what it has to offer. BUT! If it takes forever to load when you have strong WiFi I’m not likely going to use it just based out of lack of patience, plenty of other sources with identical information.